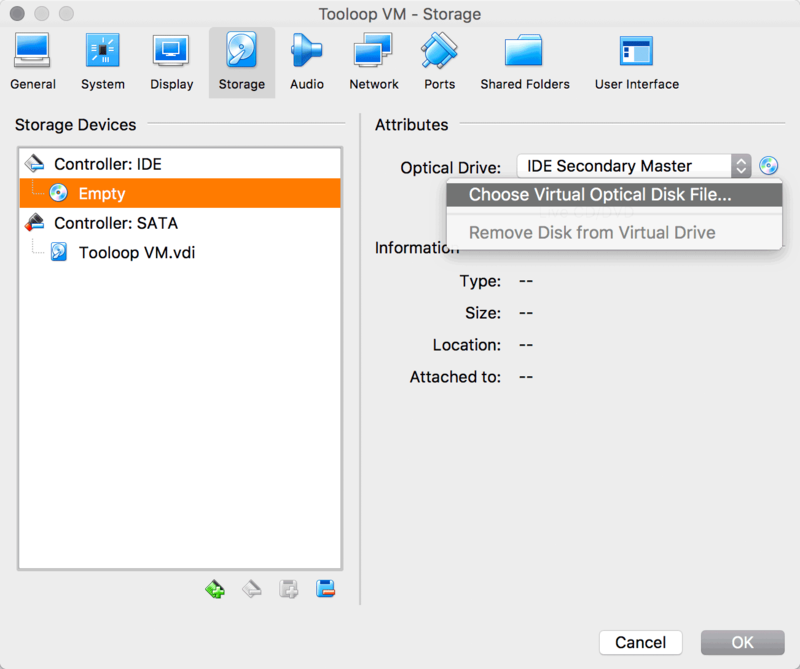 You can easily install Tooloop OS in a virtual machine. 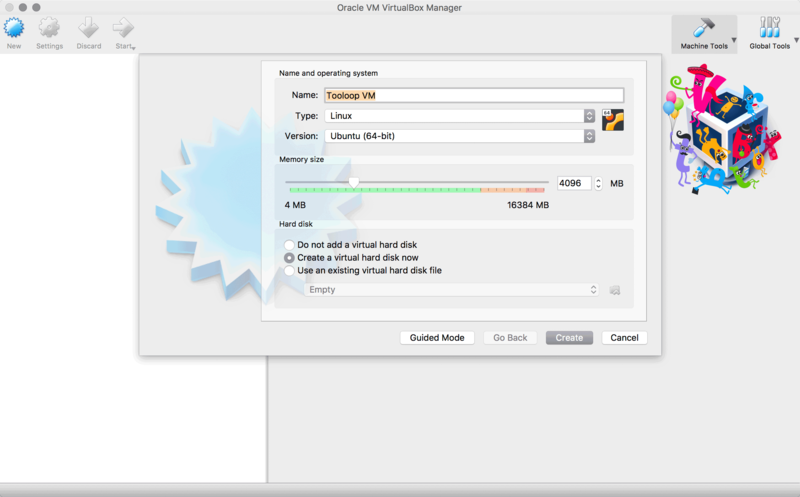 This guide is using VirtualBox but any other virtualization software will probably just work the same. Click on “New” to create a new machine. Name it and give it some memory. 4 GB is a size that the mid-range boxes specify and your computer can probably spare. Create a disk image for the new machine. 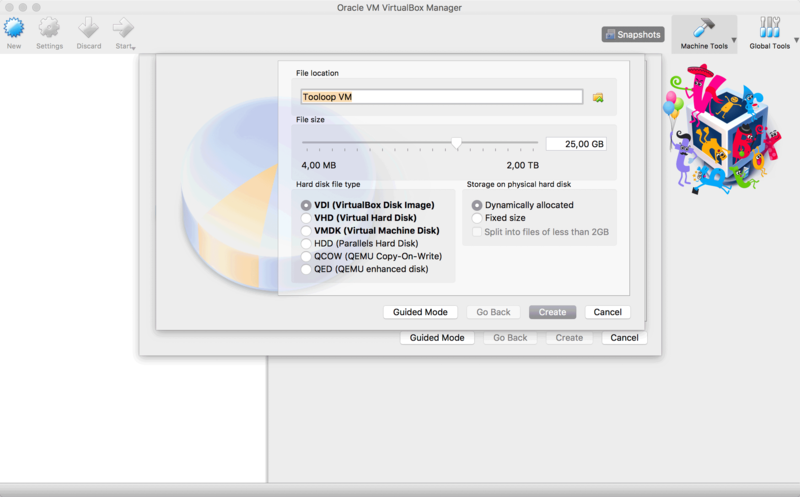 Using 25 GB of size will let you follow the default installation process with standard partition sizes. 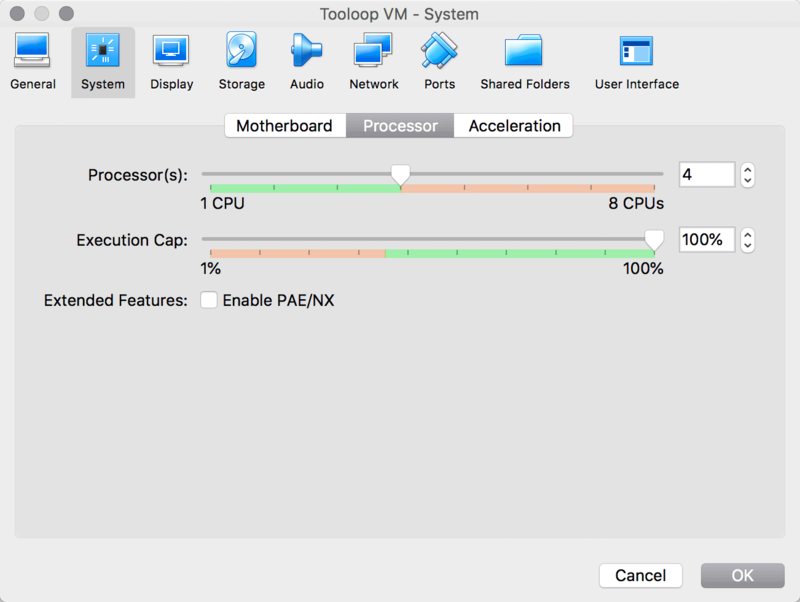 In the “System” tab, add as many CPU cores as you want to share with the VM. 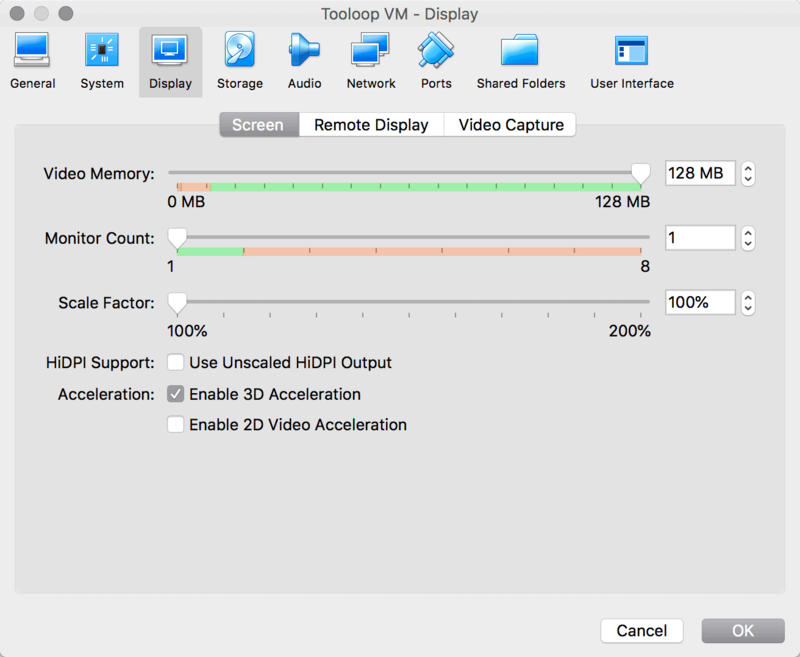 In the “Display tab, max out the video memory and activate 3D acceleration. In the “Storage” tab, add the Ubuntu ISO in the optical drive. 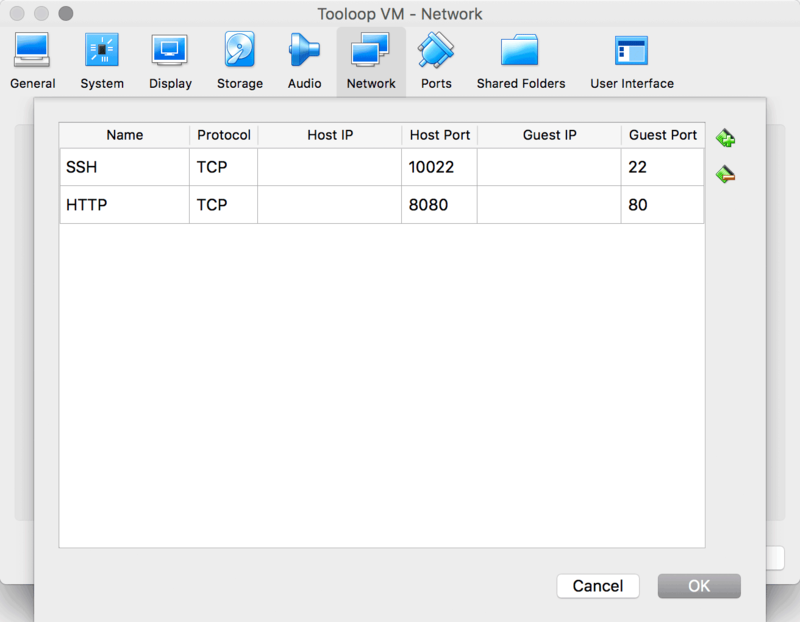 If you want to test network features of Tooloop OS you should forward the local SSH and HTTP ports. 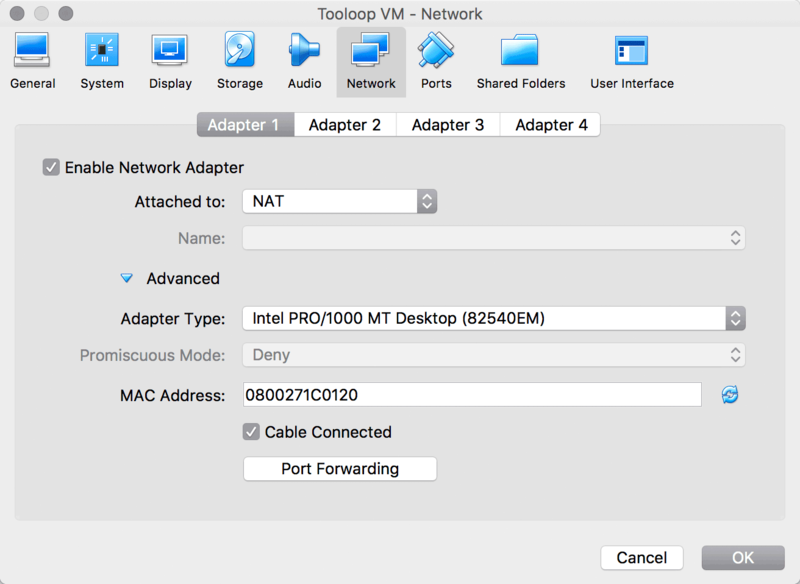 In the “Network” tab open the advanced features and click on “Port Forwarding”. Forward the ports 80 and 22 like in the picture. Your virtual machine is ready. You can now start the standard installation process.